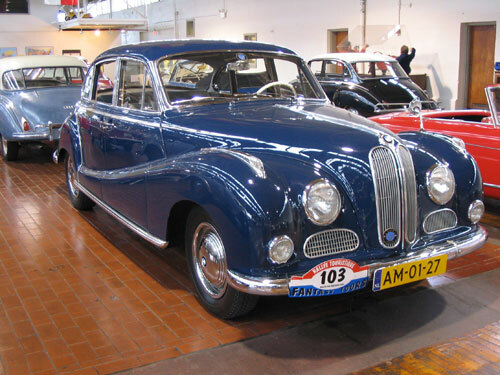 The 500-series cars may not have been BMW’s most glamorous products, but these big and sturdy middle-class machines were the mainstays of the company’s car division from 1951 up until 1964. They were nicknamed Barockengel (Baroque Angels) because their bulbous and flowing lines reminded people of the carved wooden figures in South German and Austrian churches of the Baroque period. 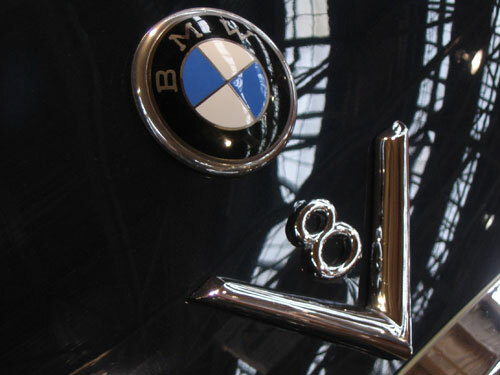 In 1961, the BMW 3200 was introduced. It was the successor to the 502. Aside from having more power (160 hp), there was little difference in the 501 and the 3200 models. 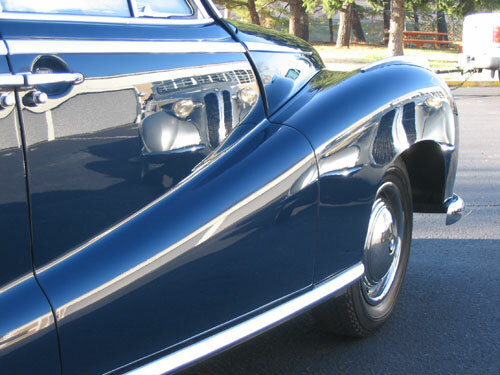 1323 models of the luxury, four-door saloon were produced. 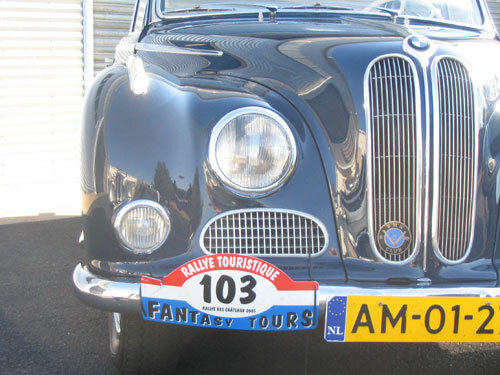 This car was rallied on “Les Chateau de France” down the Rhone River Valley region in October 2005 by the Lanes.